If you have a shed that’s older than the 1980s, you might be wondering if you need DIY asbestos removal done. Before you go looking for asbestos bags or calling Arca or another professional, you need to confirm first that there is asbestos. If you don’t want to have someone come over to conduct a test, here are some ways you can figure it out yourself. A house built before 1985 probably has asbestos cement sheeting in it somewhere. The shed is much the same. 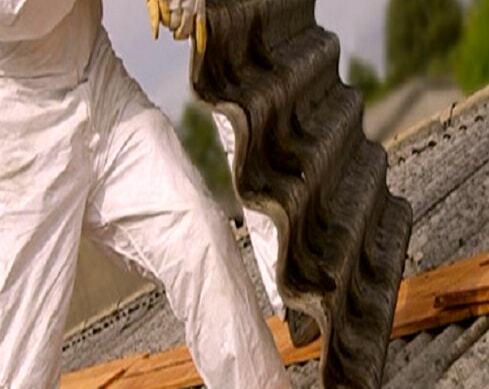 There is also the chance that second-hand asbestos sheeting saw use in a more recent home, though this practice would have stopped in the early 90s. Ridges along a fence are an indicator of modern materials or asbestos. Modern materials use no screws and have metal capping in their construction. For these, you do not need to break out the asbestos bags. Older fencing that has no asbestos can confuse this, as they do use screws and lack the metal capping. Both non-asbestos and earlier materials also relied on screws to prevent breakage. Most fencing and shed materials have visible markings to identify them. “Hardifence” is common, paired with the date of manufacture. This setup is used near-exclusively on later materials, so there is no risk of asbestos cement sheeting or fibres. Earlier styles may have “Manufactured without asbestos” visible somewhere, along with a date mark. Asbestos often was use as a capping material in the old days. Modern ones use metal. If the capping is fibre cement, that’s a clear sign you have asbestos on your hands. Modern materials are slightly softer than older ones. Regarding function, this means nothing. Regarding testing, it means that if you can scratch the surface with a fingernail, you are looking at something more modern. Older ones that have asbestos don’t scratch so easily.